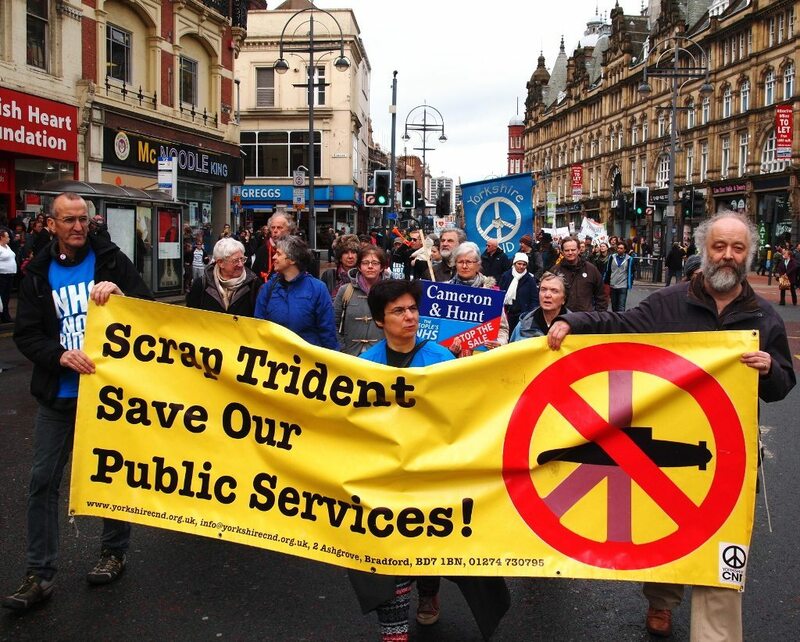 Join Yorkshire CND and help us Stop Trident. With Parliament voting to replace Trident, public spending on nuclear weapons will increase rapidly, but there is an alternative. Internationally, negotiation on a nuclear ban are being pushed by 142 countries, in the UK parliament Jeremy Corbyn, Caroline Lucas and Nicola Sturgeon are making the case and on the street we are joining with friends in the anti-austerity and wider peace movement to raise our voices for peace. We can also keep putting the spotlight on the US Bases at Menwith Hill and Fylingdales and continue campaigning, lobbying, educating and agitating regionally, nationally and internationally for a nuclear free world.